Yikes! Has it really been 3 months since I posted. Does that tell you how busy my summer has been! Basically it is Bisque It that has been keeping me busy...busy enought to be adding my second kiln! YEAH! now where do I put it??? Ok, flashback 3 months......I have to show you the flowers Shane sent me in full bloom! Cleaned out attic....yeah, we had a FEW computers, monitors, and accessories! Donation to Goodwill makes for a nice tax deduction. Took Jaden for an overnight trip to Michigan City for Linda's and Jim's anniversary party. 4th of July....there is something good about 100% humidty, it brings out the curls! Playday with Taylor and Jaden.....looks like Taylor had to make a stop so that Jaden could text! ...but it did wear her out! Girls Night out with classmates.....longtime friends are the best friends!! stay tuned for August....just don't hold your breath! So you can imagine how surprised I was when this arrived at my door! Thanks so much, Shane-O! They are just beautiful and each day they get prettier! I will definitely share a picture when all those pods are in full bloom! You did good, son!!! How can anyone pass up a free Birthday meal at Banditos? Oh and to my surprise, Max was in for supper! Should I thank CSX? I would, but......he got called while we were eating so he had to miss going out for dessert. The girls gave me a picture for my birthday. Look closely and you can see the frame is bordered with pictures Jaden drew for me. It will hang above the Strawberry Shortcake Kitchen in my apartment! And the gifts kept coming....Shannon and Mike got me the movie "Precious". I have heard so much about this movie. I know its gonna be a hard one to watch, but I have to see it! Shannon also picked up the next book in the Blackbird Sisters Mystery Series for me. Thanks everyone for making my day special......including Mom and Kristen that worked today so I could relax and scrap a good part of the day away. Mom stopped by my house on her way to work to drop off a gift too! It fit right into my plans for scrapping! Thanks! Our final stop was a special treat for Jaden (and Gramma J)! This is one of Jaden's favorite places and she was so excited to take me here! In honor of my day, Jaden had a "Happy Birthday" chocolate bar. Taylor did her best to get some chocolate too! Yes this was my Birthday Sundae! Highly recommend you indulge on your birthday....and I think maybe this would be the perfect way to celebrate half-birthdays! Oh, I did share my sundae with Taylor.....felt I needed to teach her the fine art of eating chocolate sundaes. She was a quick learner! And then this was the highlight of the day.....the perfect ending!! I probably said this last year, and I will probably say it again next year, but.........This was the Best Mother's Day ever! But that being said, I know I have never had a bad Mother's Day. I loved that Shane drove up just for the day......I know he had a busy weekend, but he made my day anyway. And Shannon and Mike and the girls were here too which also made the day great! I think we saw a picture similar to this last year. But notice, I have new Grill Woks! They are perfect for grilling the veggies....better than baskets or skewers! Jaden and Taylor lunched earlier so they could get their little naps. Almost too pretty to eat! And so colorful! A Special Plate Taylor painted as her first Mother's Day gift. This goes along with the first Mother's Day gift Jaden painted. Shannon made me my 3rd Volume of "year in review". What she has done each year for Mother's Day is put together a digital book of pictures. Of course, the first two were of Jaden's first years. This volume introduced Taylor to the family. These books will always have a place on my coffee table and I will treasure them each year!!! I love looking back through them and Jaden does too. I can see these getting "read" over and over as the girls grow up! Thanks everyone for making it a Special Day! Some of you think May flowers bring Pilgrims (nyuk, nyuk)......but May flowers bring Mother's Day and Birthday for me! Oh so much fun and excitement packed into one week!! Where do I begin? I started a Mother's Day tradition 3 years ago when Jaden painted her first surprise piece for her Mom! In the past I have always picked a piece for her to paint, but this year I let her pick the piece, colors, painting......it was all her from start to finish! This was Taylor's first Mother's Day painting so we got her started on the same foot, or should I say HAND! 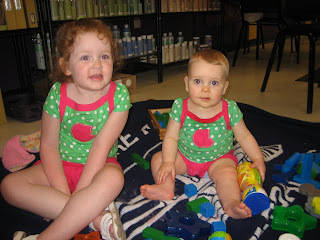 As the following pictures show, Both girls had a lot of fun! Taylor had a little help picking out her piece and colors. We decided she needed something for her desk at work to show off her newest little artist! Jaden looked and looked for something to paint. She decided on the Peace Sign Mug. I said, "Are you sure?" "My mom will LOVE it!" she said. How sweet is that! Keep in mind she could have painted a princess box, frog, mickey mouse, turtle, snake....ANYTHING.....and she picked something "her mom would love"! She is all business when it comes to painting! 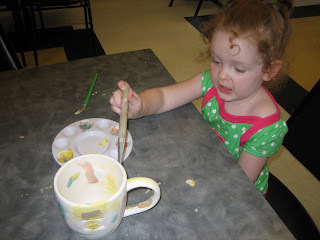 She painted "rainbows" all over the mug. Not your traditional rainbows though.....she put several colors of paint on her brush and then in one swoop painted rainbows! Completely her idea. She said, "It's a beautiful day with Rainbows! But it's too cloudy to see rainbows today." As she looked out the window..... "LOOK, the clouds are moving!" And after all that fun there was a little time for play! 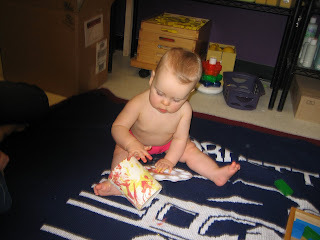 It is just so much fun to watch little ones be creative! Jaden and Taylor are growing up with paintbrushes in hands! I took advantage of an afternoon off and spent some time with my two favorite little girls! 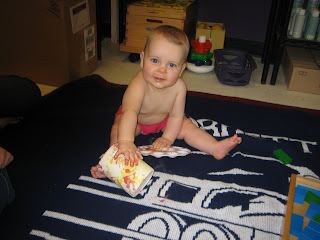 When it was time for Taylor to have supper, Jaden and I snuck off to the playground down the street! As you will see, she absolutely LOVED the slides! She tried every one of them....starting small and going big. What you don't see, thankfully, is that I had to slide with her the first time on each one except the first two. She quickly caught on and pointedly told me, "gramma j you can stand right HERE!" pointing to the bottom of the slide. She really wanted to climb to the top on this ladder, but this is as high as she got. If we had had more time I probably could have trekked up it with her. Next time you'll get to the top, J! FUN AFTERNOON!!! Looking forward to many of them this summer.....days off are made for this, laundry and housework can wait! Valentine's Day takes on a whole new meaning when you are grandparents! Jaden made us a special Valentine's Treat!!! and Taylor's presence was a Valentine's gift in itself!!! 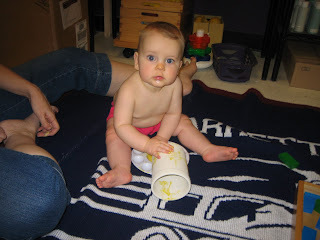 It's been forever again since I have blogged.......because it has been FOREVER since I have done anything worthy of blogging! Actually I have been very busy at the studio......We celebrated our 5th Anniversary with a BIRTHDAY CELEBRATION......BISQUE IT style!! Now I am just ready for Winter to be over.....I have been very patient, and even thankful for the mild winter.....but.....ENOUGH!!!! I want sunshine....I want 60's (not even gonna ask for 70's yet)....I want Spring Jackets (will hold off on flip flops).....Just let me put away the snow shovel! Edamame - fancy name for soy beans! They are delicious and fun to eat! Sushi....YUMMMM....and before you turn up your nose.....it doesn't mean raw fish. I like the California Roll which does NOT have raw fish. Everything you see here on my plate has been cooked! 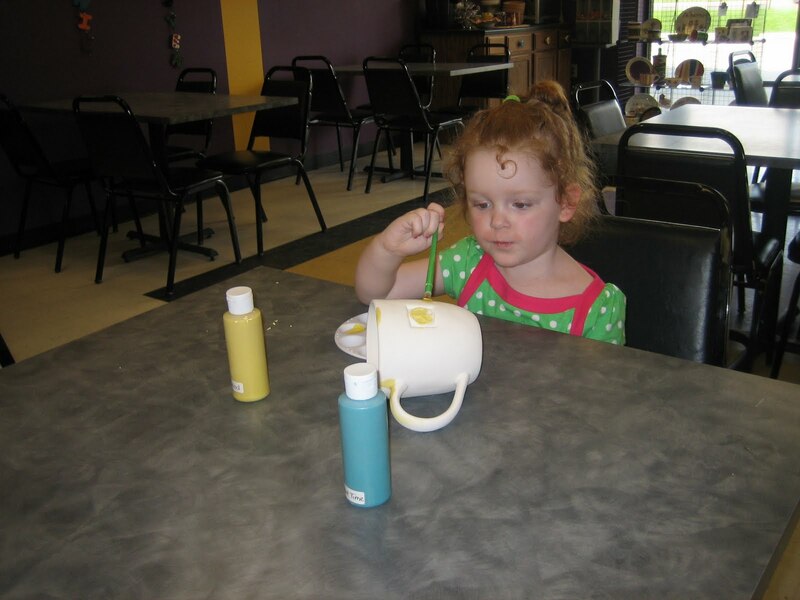 Jaden came into Bisque It during the "Birthday Celebration" and painted her FREE heart! I just love to watch her concentrate on her painting. And the best part.....she really knows the process! 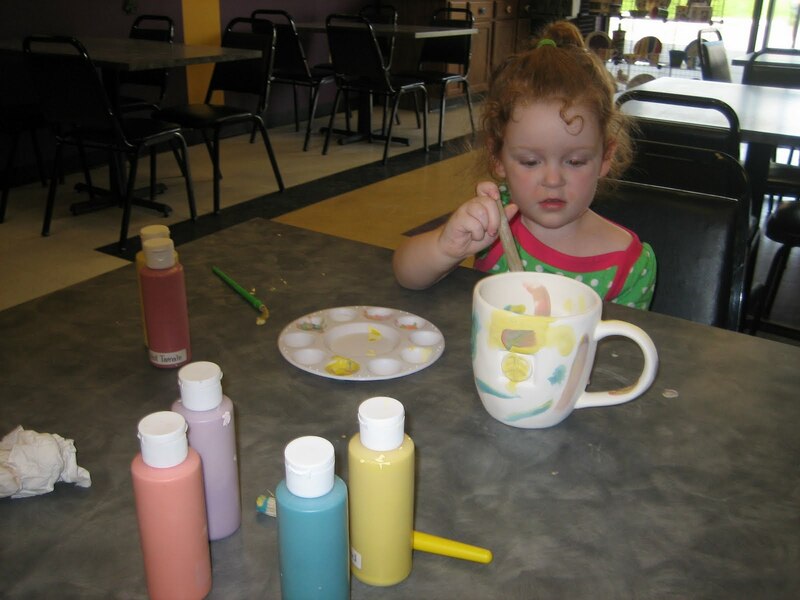 She will squirt out her paint and say, "just a little bit, right gramma J" and see how she keeps her paint brushes separtated by color! And she is always proud of her work! Won't be long and she will be teaching her little sister how to "Create It." Right now this is about the best Taylor can do as for as "Creating It" at Bisque It. She is quite the "handprint artist" and such a happy painter! Notice my little helper there? Like I said, Jaden knows the process! One last thing that has kept me busy for about 2 weeks. I have been giving my kitchen table a makeover. We have not had this table very long....3 years? I thought we were getting a good table for the price we had to pay. However after about 6 months, maybe a year, the top started to check. And then there were water rings. Basically the top finish was coming off. I liked the table, searched a long time to find a countertop height table to fit our dining area, so I wasn't ready to get rid of it. As you can see I opted to paint the top. First I had to sand off the finish....as you can see there were quite a few spots that were almost bare. After 3 coats of paint I applied 3 coats of Polyurethene-like finish. I like the finished look, but think I am going to try another finish on it to be more durable....we'll see, time will tell. One thing for sure...DEFINITE IMPROVEMENT! I will post some finished pictures someday....don't hold your breath! And hopefully this summer I can redo the kitchen countertop! I have been married to Max for 28 years and counting! (Just ask him how wonderful!) We have two kids, Shannon and Shane; a son-in-law, Mike, and two adorable granddaughters, Jaden Claire and Taylor Maxine. I have my dream job...I own Bisque It Pottery Painting Studio where I can play everyday! Living my life on purpose.